I blame the fugly box art for the low sales. Just look at it. 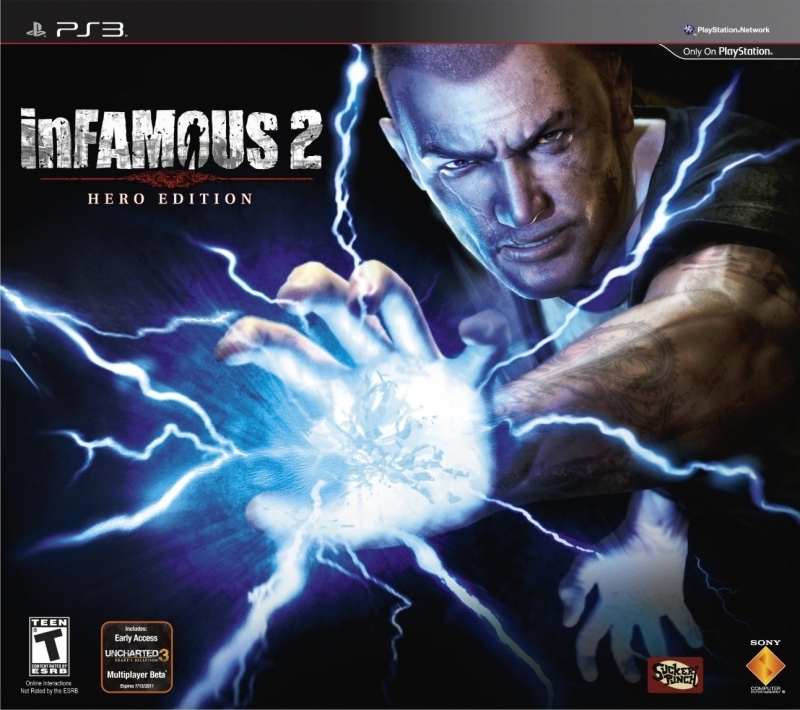 Well Infamous 2.29, Infamous 2 1.28=3.57. Maybe at the end of the year with the $200 Black friday bundle, we will see the "True" numbers. I think it probably sold quite well digitally. Yes with Sony buying Suckerpunch it had to have sold better than this. I'd say at least 4million combined 1 and 2. Why undertracked? 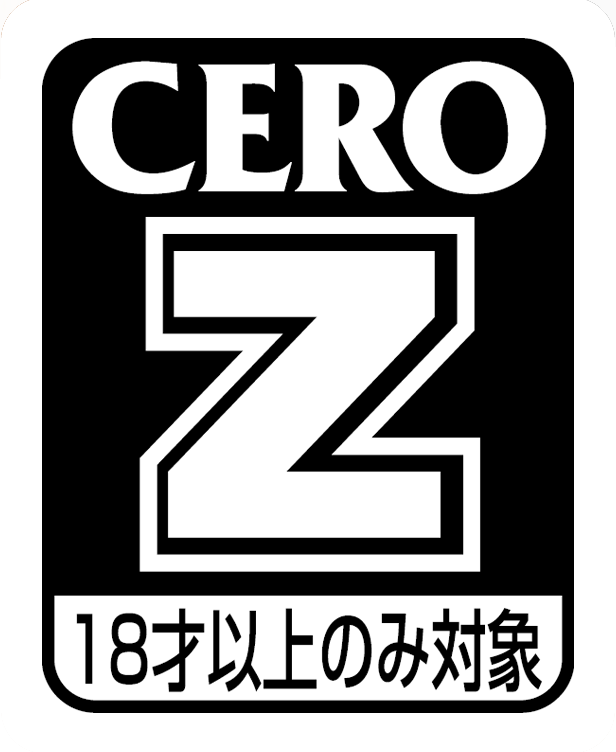 Do we have reports from Sony about how many hard copies of the game have been shipped? I hope it has sold more (like close to 2 million) but where's the evidence for it? I wonder by how much this game is undertracked. This must have sold way more considering that after this game, Sony bought SuckerPunch. Why would they buy the studio if the sequel sells less?? ¬_¬ Did it sold a lot of digital copies?? or did it increase PSN subscriptions considering this was offered as a free game?? Deserves better sales, I hope only 1.24 million is because lots of people bought it off PSN. If there was ever a reason to buy PS Move this is the game. Awesome game! Better than the original. I got this from my ps plus, and im loving it! much better then the first one. If I had two compare the original with the sequel, I'd say IF1 was better in terms of story, but slightly. More harder for me to platinum. IF2 had better graphics, powers and better character design. Much easier to platinum. I was pretty annoyed that Sucker Punch Productions didn't have Blast Shard Sense for Cole in the 1st game. It would have made things less frustrating. Here's hoping for an IF3 with a even better story and more powers. I wonder if this are the real sales. I bet this is undertracked. Soon after it release Sony said digital sales were 50k. 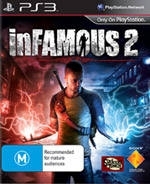 @Dahum: I believe they must be quite high, considering that after Infamous 2 was released Sony immediately bought Sucker Punch. i wish if Sony will provide us with the digital numbers for this game since it was released on both retail and PSN at the same time. They were from months back... and I was trying to acquire the truth (I just don't know the hard facts), but mainly I saw/ heard this on IGN and Podcast Beyond (especially the Infamous 2 themed episodes). Other sources as well, but I can't remember. Is this game seriously under-tracked on this site? 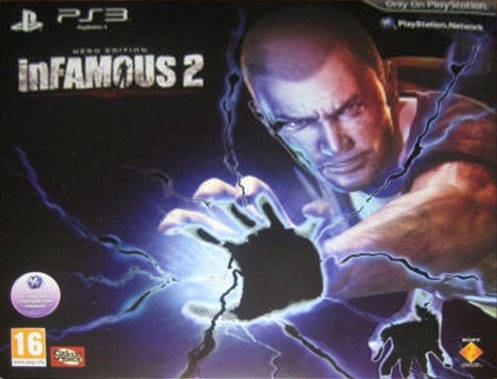 I ask this because on various sites, Podcasts, and interviews I have seen professionals in the industry have stated how InFamous 2 was far more successful financially than it's predecessor. I just don't know who to believe. But I'm guessing they have to have some kind of proof to make such claims. And what is that assumption based on,osamanobama? i bet, that a maximum of 150k people bought this off psn. where are you guys getting your psn numbers? 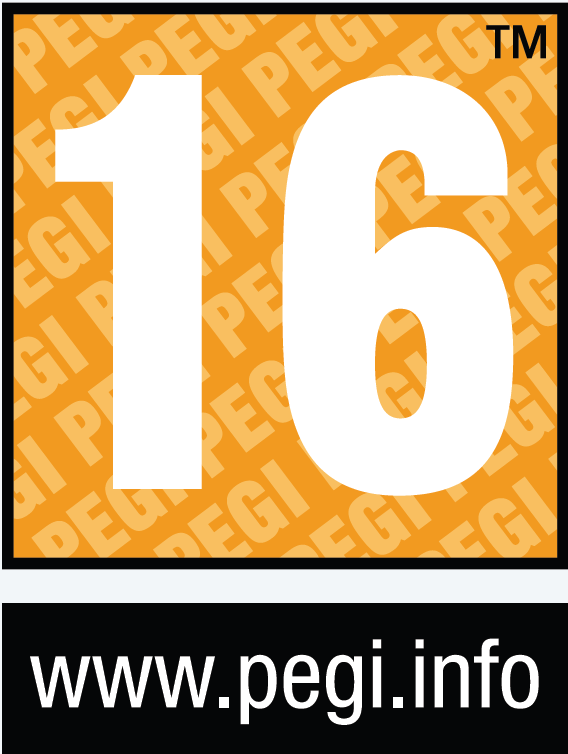 mass effect 2 did 10-15k opening week on psn(according to ea) . lets say this did double that , thats only 30k opening week. no way this sold 900k in digital sales thats absurd. maybe 100-150k but no more. regardless these sales are dissapointing this game needed MUCH better marketing, I am not even sure if they will make a sequel with these sales. PSN sales are pretty much dirt i doubt it sold so much as 100,000 copies off there. It should have got around 2 million with PSN sales. It was the best selling game on PSN the month it came out. How come this only sols 1mil? 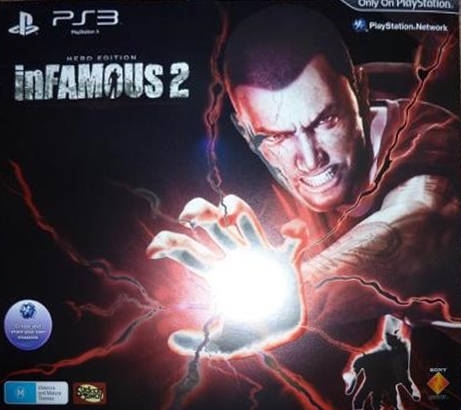 Not saying the sales are really bad, but i heard inFAMOUS 2's sales were more impressive then the first one, yet it struggled to sell 1mil unlike the first? wow, this is all this game has sold. I expected more from such a great game. It has more sales, it has sold pretty well on PSN but its nice to see it reach 1 million retail. Glad to see it getting to 1 million. Deserves so much more, though. Well, it has reached 1 Million! IT'S. ABOUT. TIME. Well its now sold 1 million, may get to 2 million eventually. Im a bit disappointed in sales as well its still reasonably good. Hopefully holiday sales should see this pick up a bit. one of teh best stand alone DLC that don't require the game disc. it's even free now on PSN, so awesome. 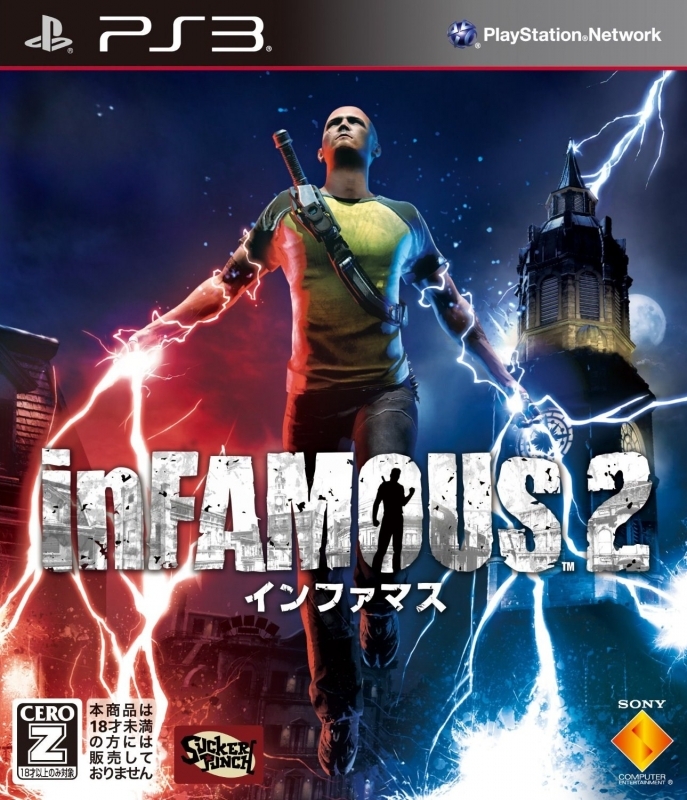 i didn't give it a 10/10 because Cole was limit his ultimate powers from inFamous 2, instead you only got a few upgrades special and vampire new moves. a 3rd part would make my life complete. You ppl keep ignoring online sales, this has sold 1 mil by now and will end its lifetime at 2 mil or so wich is pretty much waht was expected and is quite good for this genre of game. 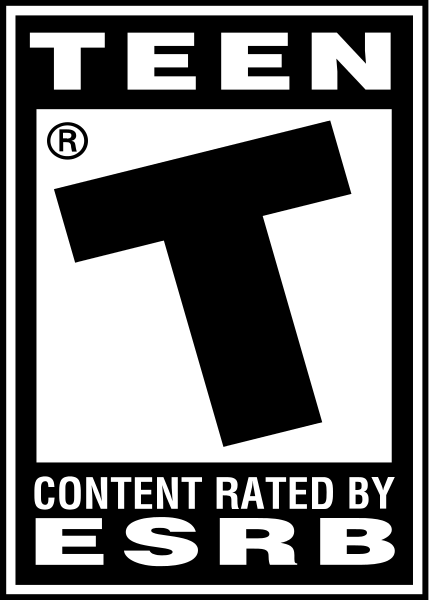 Also Sony was pleased with the quality of the game therefore they bought Sucker Punch. Brilliant game, such a shame that this never sold as well as i would have liked! It should have legs that keep going till around 1.5-1.8 million but shame it isnt expanding on the inFamous audience as said below! This is a standalone expansion pack. Doesn't need the original game. I thought this was DLC?? 10K per week, it'll keep on selling through to 1.5 million. 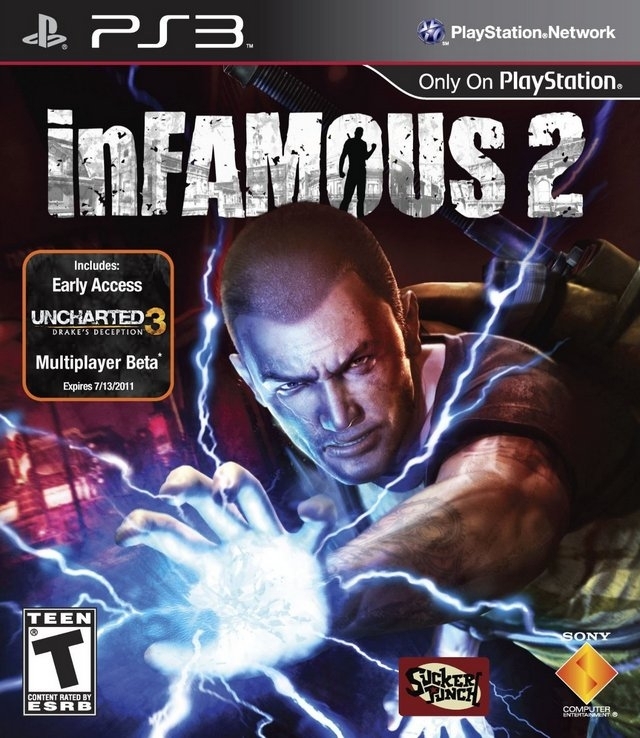 decent sales, but I was hoping for an expanded audience over inFamous. I was surprised that this was a stand alone game and not actually DLC. Buy it, its worth it and then some!!! @solid-stark I'm assuming a bundle, and the usual 100k black friday boost for the many sony bundles. Great game and very challenging soemtimes. It was No1 bestseller on PSN at Â£49!! so am sure Sony is happy with the overall sales. what do you guys think of 1.5million this holiday with bundles? too high? Sony must know something we do not.They made a huge deal with sucker punch today.This finacial crisis has hurt alot of sony releases.Infamous 2,Motorstorm Apocalypse,Resistance 3, Socom 4 are all having really off numbers.Sony has conceded that the weakend euro has hurt them and theres nothing they can do about it.Maybe they see something on the horizon we do not.All the games I listed are fantastic games hoepfully there sales will climb with the holiday season. Poor sales are due to ugly Cole? Why whould they put him back when they admitted his looks were one of the biggest problems with 1? They deserve these low sales for catering to whiners and for forcing us to look at ugly Cole. I didn't buy the game because of that and I'm glad. I wish I had the dignity to pick the Good ending. It is selling bood, but I think this game could be selling more than this because of the PSN sales. It flopped stop trying to make excuses. 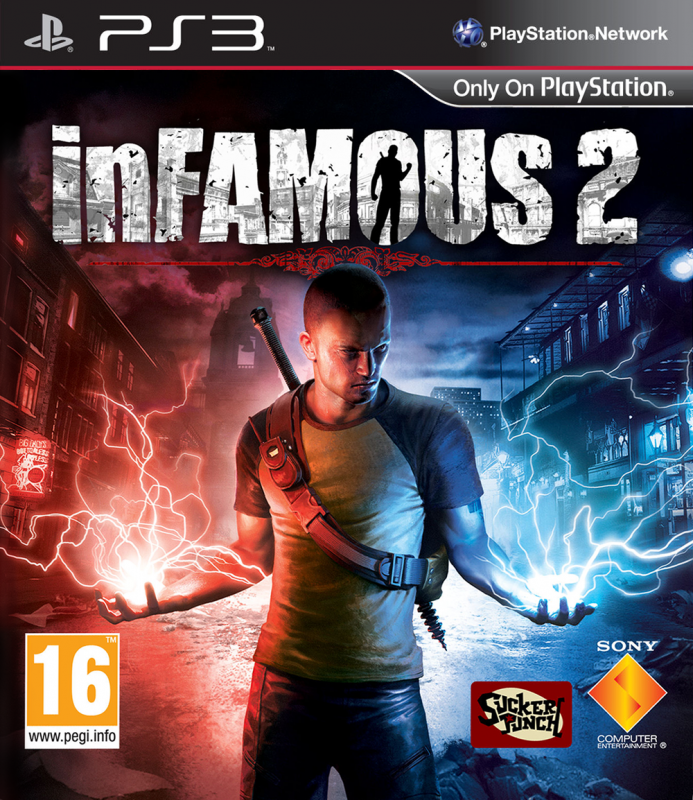 Nobody cares about Infamous. the bundles arent even being tracked properly from the looks of it.....how the hell do we know what Infamous 2 real sales are at this rate???? I have my doubts that PSN sales are >200K. If it was 20% cheaper on PSN then maybe. Bundles will help it over the million mark before the year is over. Who knows with PSN sales its probably already over 1 million. @DakonBlackBlade: Either dat completely hypothetical meandering, or SP's new I.P. is so awesome, Sony just had to marry it. @Mordred. Agree. NA sales have been good but EMEAA sales are mediocre. Hopefully a boost from the ps3 price drop/holiday sales will change things. I've had such big hopes for this game.it's selling good,but not nearly as good as i hoped for.i thought that it would get to 1.5M by now. People think a little bit, If it wasnt selling enought would Sony have bought Sucker Punch and anounced two weaks latter a standalone game/expansion/DLC (Festival of Blood) ? Sony and Suker Punch (wich are now basicaly te same thing) are very pleased with the sales and its probably selling very well digitaly too since its on the PSN top downloads. It's not a flop... It's a SONÂ¥. I mean it. @ bullza90: He makes a point. Unless you have something concrete showing this flopped, you're words are virtually meaninglss. Cant wait for Festival of Blood! !